Motorcycle Speedway racing events commenced in Wagin in 1926, The first track was laid inside of the Horse racing track on Lake Wagin. 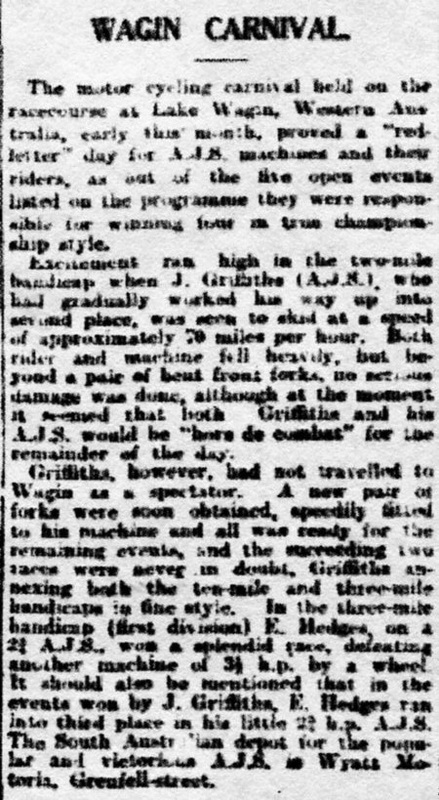 By 1930 the Wagin Motorcycle Club was well established within the motorcycle racing community and were holding many successful meeting at their track. In 1931 the Wagin Shire was reporting that Motorcycle club had abandoned the venue due to the track being inundated with flood waters as a result of the winter rains.